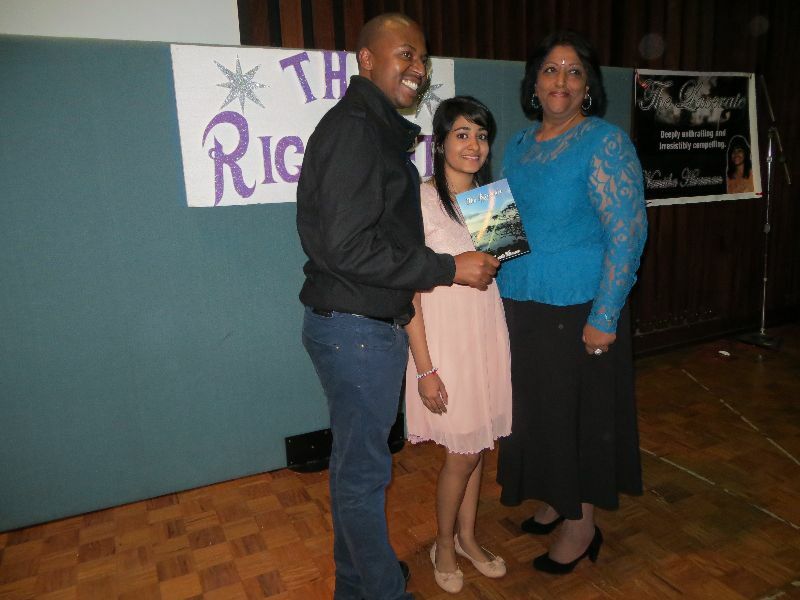 Nemisha Hiraman who was a pupil of Veena Ganagaram’s at the BAT Junior Writing Club three years ago, launched her third novel at the SABC Head Office Blue Moon venue on Sunday 7th of July. 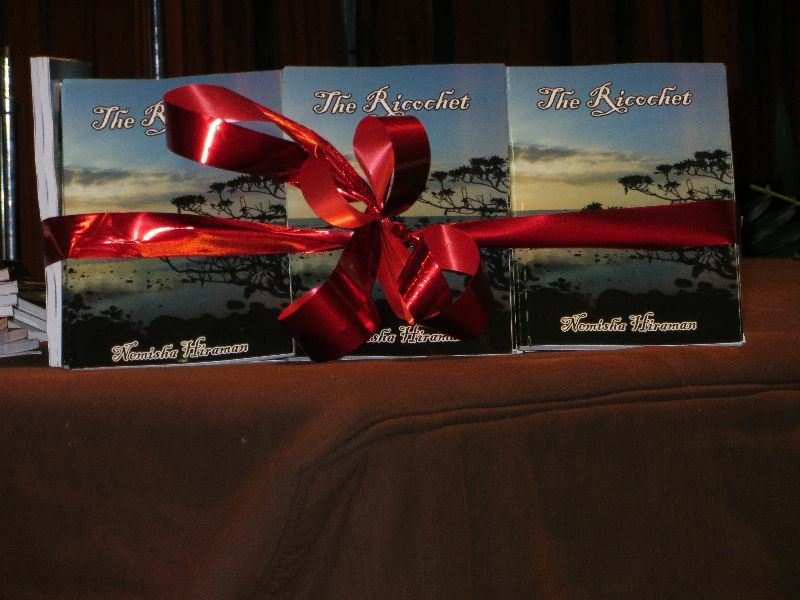 The audience of about 100 people were thrilled with a young author who has written about the same two characters in all three of her novels. 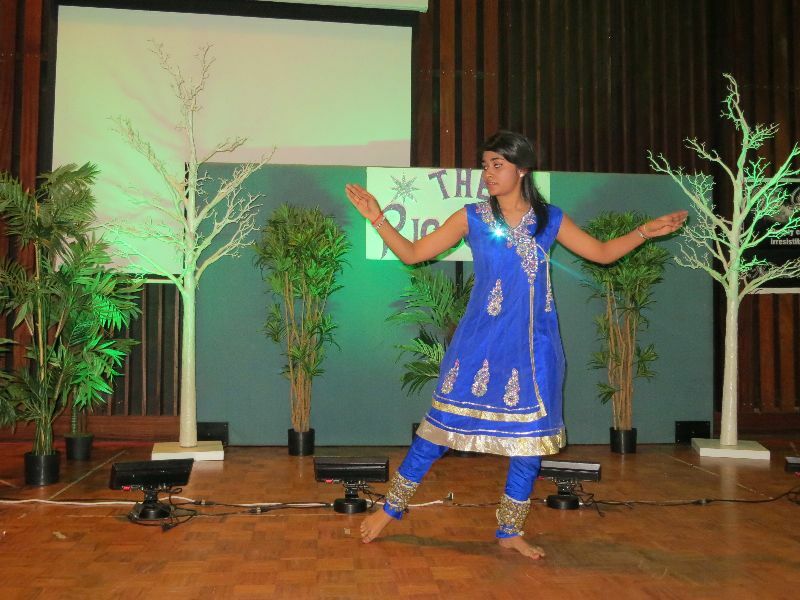 Nemisha’s programme of entertainment included an Indian dance by herself. Nhanhla Nxele of SABC radio interviewed her. She is photographed with Nhlanhla and with Veena Gangaram. The afternoon launch was made complete with a delicious dinner of a variety of breyani dishes, provided by Nemisha’s parents and others. Well done, Nemisha! this is the start of a great career!